If you are wanting to get pregnant or maybe you are thinking in a year or so I you want to get pregnant- right now is the perfect time to do a fertility cleanse. A fertility cleanse supports the body's own detoxification abilities to help you support reproductive health. Remember, the timeline for pregnancy starts way before you get a positive pregnancy test. A women’s egg begins to mature about 150 days before ovulation. However toxic your body is at this point will affect the health of your baby for the rest of its life. So this is when you need to start acting like you are pregnant: 5 months before conception. The time before those 5 months should be used to prepare the body and environment. If you are already trying to conceive it is not too late to detox your body. Every step towards health impacts your future baby's health. For a guys it takes approximately 74 days or 2 and half months for sperm to mature. This means that anytime, but especially if you are actively trying to get pregnant, is a good time for a man to do a fertility cleanse. This is especially true if a man has had his sperm checked and found any issues in the amount, function, or shape of his sperm. Doing a cleanse can support the body to improve sperm quality. There is a specific one for women and men. 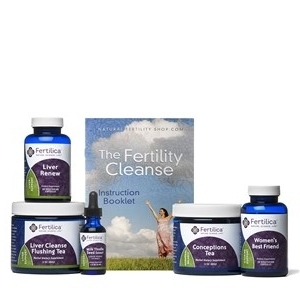 Click my affiliate link below to learn more about each fertility cleanse. Here is to supporting your fertility journey and overall health by cleansing your body. You will feel better and your body will be better prepared to produce healthy sperm and egg for a healthy baby! For more specific help with fertility please make an appointment with me. Picture are copyright by Graphic Stock and by creative commons for free use with out attribution.